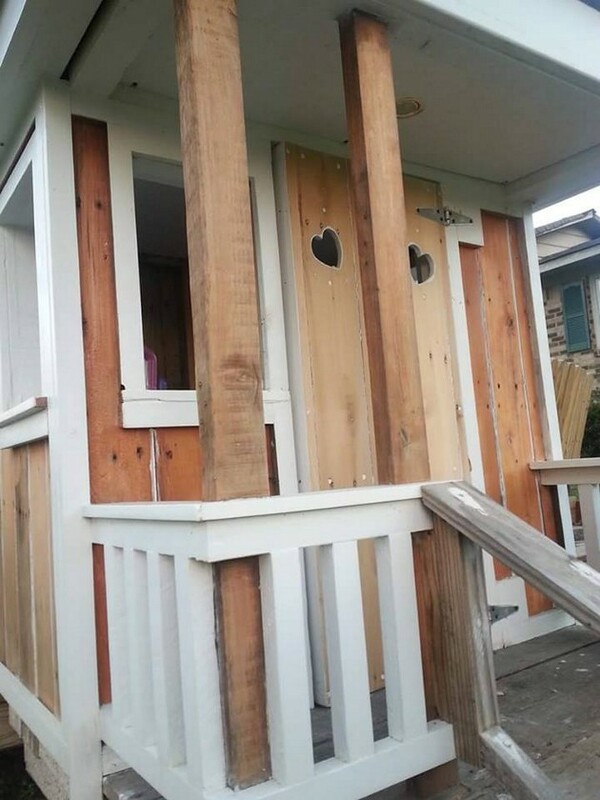 A playhouse is especially associated with the kids. They just love to play in the playhouse as this is a specified are just dedicated to their playing activities. They feel more secure and happy playing in the playhouse. There was a time when we used to buy these large wooden objects from the market or hired a professional carpenter for making this. 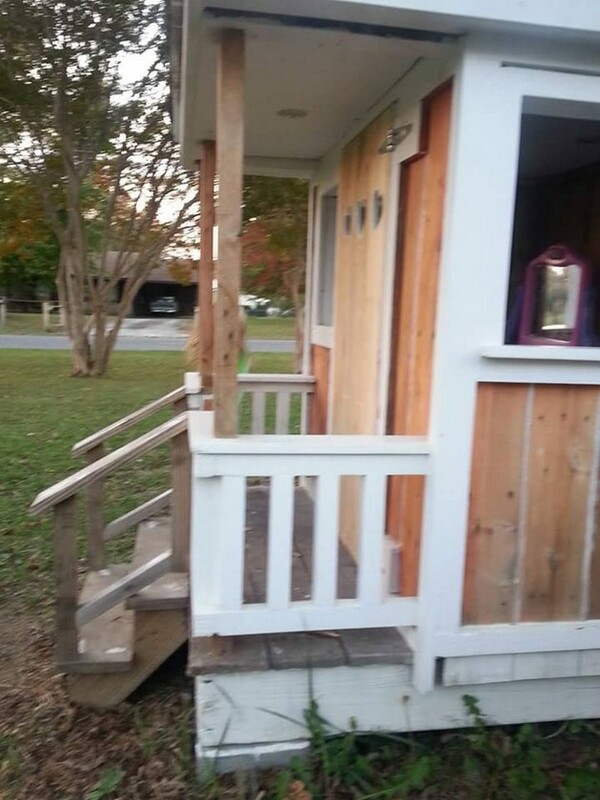 But wood pallet has made it all easy for us to recycle a wooden pallet repurposed playhouse for our kids. So this summer do something special for your kids to make them happy, grab some shipping pallets and start the project. 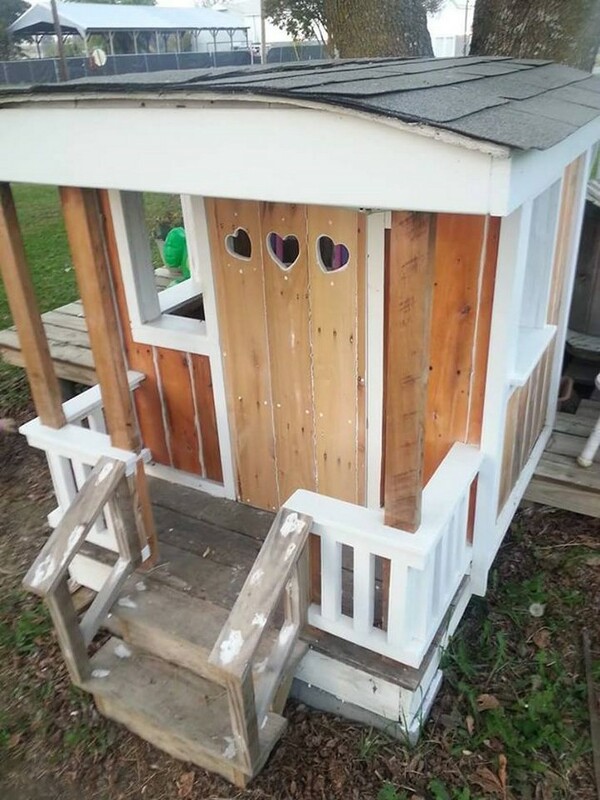 First of all have a look on the pattern that we have followed in making this wood pallet recycled playhouse. This holds a regular construction style that we usually see in the urban masonry styles. So this would be something pretty familiar for the kids. It has got a decent entrance porch, the front door is carved with beautiful heart shapes, and it has got all the necessary portions that a house has. Now come towards the quality of shipping pallets that we have used in recycling the kids wood pallet play house. Some mixed sort of pallets are put to use. 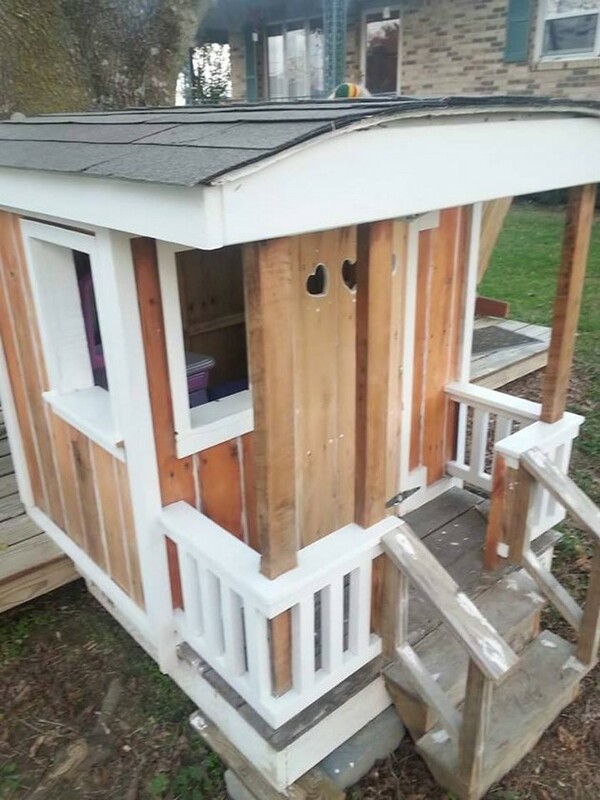 Having a side view of the wood pallet kids playhouse, we see proper ventilation spaces left on the walls that ensure the proper and ample flow of air inside the wood pallet repurposed kids playhouse. And if we talk about the paint or color scheme, we have stained the pillars and we left the walls unstained to make a contrasting touch. 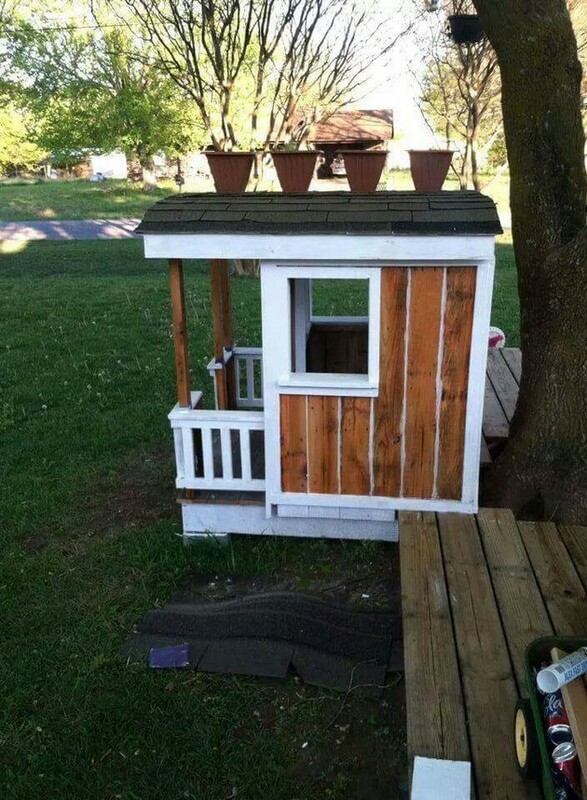 This is a perfect kids playhouse from every perspective. It has got all the arrangements of ventilation, a proper sitting cabin, a spacious entrance along with a flat roof top that can also be used to place a couple of planter pots.